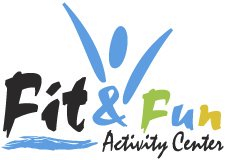 FIT & FUN ACTIVITY CENTER is a community sponsored organization of professional health & fitness, performing arts and martial arts instructors; catering to the growing community of Sharm El Sheikh. We are dedicated to providing centralized, continuous, consistent, and reliable fun. Find us @ SOHO STUDIO, ISDC Hay el Nour, and BALLET & FITNESS STUDIO Hay Salam. Our world class Instructors are here to share their knowledge and experience with you; offering a wide variety of activities to meet the diverse interests of our community.